“Hi, welcome to The Gap!” That’s how it all started for guitarist Dan Taylor and lead singer Kelvin Swaby of The Heavy, who were both working at The Gap in Noid, England when they met and started the band. 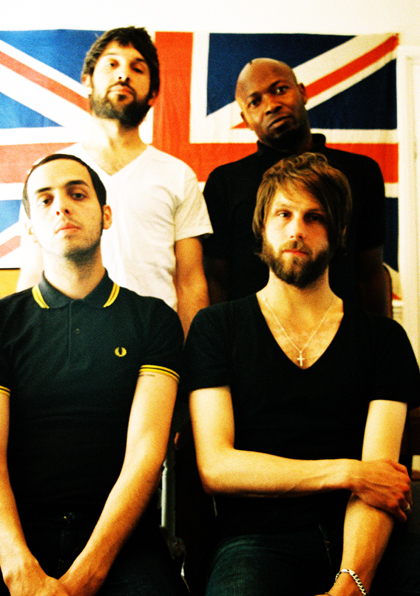 Now a quartet, the British soul/funk/R&B indie rockers know how to bring the house down. In fact, when they performed on the Late Show With David Letterman at the beginning of this year, Letterman was so impressed that he asked the band to play an encore—that was the first time in Late Show history that Letterman had ever asked a band to perform an encore on his show…not bad for a coupla dudes who bonded over neo-soul, Motown, cable knit sweaters and khakis—just cinch it! See what all The Heavy hype is about when the band headlines at The Blank Club in San Jose on 6/24, and on 6/25 The Heavy will open up for Sharon Jones & The Dap-Kings at The Warfield. Perfectly fitting SOTD for my Friday!